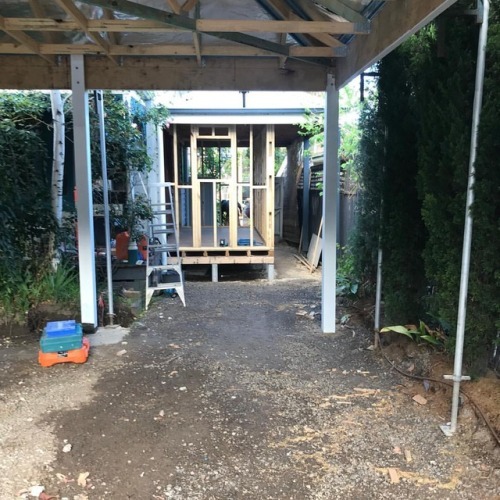 Project 157, Wills St Hawthorn East (Single storey weatherboard)- 2 months ago we commenced work on another project alongside our current Commercial build in Moorabbin. A renovation/ extension with lots of landscaping work to come. Proclad roofing have done some great work with our guys to build the new carport. We have started the extension to the side of the house in two areas. Allowing for a bigger laundry & a walk in wardrobe for the main bedroom. Extra storage for the existing pool too.